Many people assume that Hawaii can’t be done on a budget. While $20 may go a lot further in other exotic beach locales like Thailand, Bali or the Philippines, with the right knowledge, you’d be surprised just how far $20 can go on Maui, too. 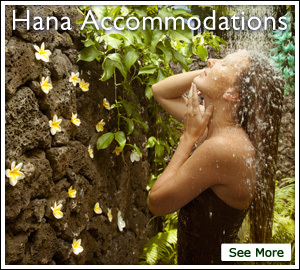 We’ve even previously outlined how to do Maui for $60 a day, including lodging, activities, transportation, and food! Below we have outlined the best inexpensive fun you can have on Maui for $20 or less. Enjoy, and don’t let your bank account suffer just because you’re in paradise. If you have previously been snorkeling and are comfortable in the ocean, Maui is a great place for exploring unique marine life and beautiful underwater scenery. Boss Frog’s, who has 8 shop locations throughout the island, rents very inexpensive snorkel sets, all of which include fins, a mask, snorkel, carrying bag, a map of Maui’s best snorkel spots, and anti-fog solution, from $1.50 to $10/day. If you think you’ll want to snorkel more than a couple times during your stay, you can even save money with their 2-for-1 weekly rental offers on snorkel sets, from $9 to $70/week for two people. Check out their local map for the 15 best snorkeling locations around Maui. Haleakala National Park has a campsite on the eastern shoreline of Maui in the Kipahulu area, only a short walk from the beautiful ‘Ohe’o Gulch (aka Seven Sacred Pools) and Pipiwai Trail. Entrance is $10 per vehicle, and camping is allowed for up to 3 nights in any 30 day time span. For gear and other great Maui camping experiences, check out Camp Maui X. This is absolutely one of the most scenic campsites in all of Hawaii, and the location is ideal for watching an early morning sunset or late evening moonrise. Pack a lightweight camping hammock (with a rain tarp and mosquito netting) in your luggage to save on additional camping costs once on Maui. There are many ways to whale watch on Maui, but a boat tour is typically your best bet for seeing humpback whales up close. From December to April, Quicksilver offers a 2-for-1, 2 hour whale watching boat tour for only $39.95. That’s a great deal for an unforgettable experience. A cash bar is available for guests, and if you don’t see a whale during your tour, the next one is free! Located at Mile Marker 31 along the Road to Hana, Hana Lava Tube offers self-guided tours for around $12 per person, including a flashlight. Check out intricate formations created from molten lava, and learn about the fascinating history of the tube, including its previous use to hold cow bones. After your tour, walk through the Red Ti Botanical Garden Maze, or kick back and enjoy the view before continuing just down the road to Wai’anapanapa State Park. While the Road to Hana is obviously the most popular road adventure on Maui (and rightfully so), the drive from Kapalua around the West Maui Mountains is just as stunning, and often less crowded. Make pit stops to snorkel at Honolua Bay in summer months, or watch the surfers during winter months, and stop to hike to popular spots like Nakalele Blowhole and Olivine Pools. Keep driving to reach the charming local town of Kahakuloa, and don’t miss homemade pie in Lorraine’s backyard garden area and Kaukini Gallery just up the hill. Amazing views and a fun day drive for those who don’t have time (or the energy) to go all the way to Hana. For an absolutely relaxed and inexpensive tour option for all ages, Maui Tropical Plantation offers tram tours of their beautiful property along the base of the West Maui Mountains. Learn about the history of the plantation property and enjoy some of the best views on the island. Adult tickets are $16.50 per person, children’s tickets are $6.50 per person, and tours are available seven times daily. Stop for coffee or explore more of the plantation to enjoy local souvenirs after your tour. We hope this post gives you some new ideas for saving your bank account during your next trip to Maui, and as always, mahalo for reading!